Lefkada is one of the most beautiful unsearchable islands in Greece. Sivota is a picturesque fishing village, built in the background of a magnificent fjord formed in the south-eastern part of Lefkada island. Its natural harbour is one of the most favourite anchorage points of those travelling by boat. The Dynasty Villas are built and designed with the aim at achieving the ultimate luxury, comfort and relaxation for our guests. Each step, from the selection of the area with the amazing views to the decoration and the landscaping, has been carefully considered. 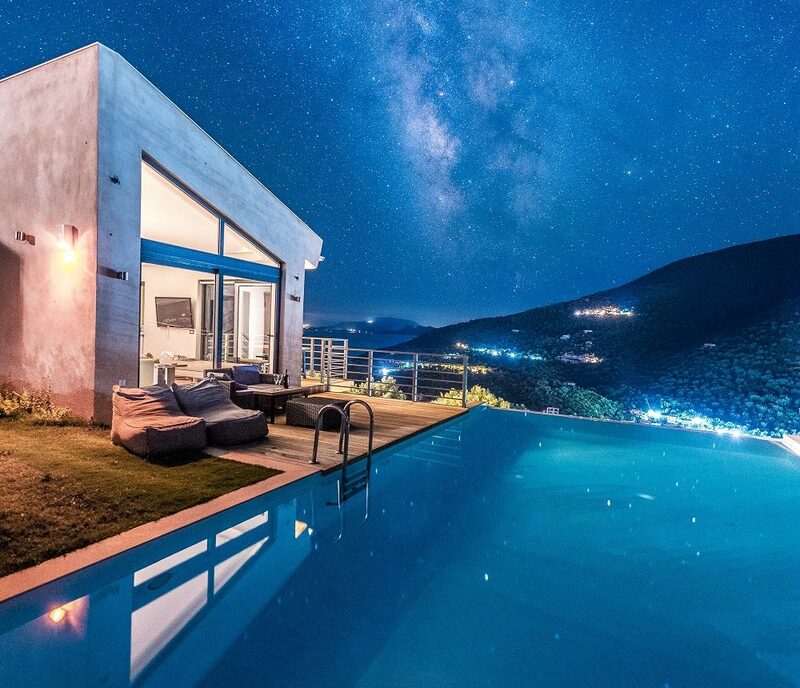 The villas are seated on the most upscale and prestigious part of Lefkada. A hillside at Sivota, Lefkada, with the most amazing sea-view setting of the area, offering a breathtaking view of Sivota harbor as well the endless horizon of the Ionian Sea and other Islands such as Ithaca and Kefalonia. Each villa is unique but all are exceptional in their own way. The architectural style, the top quality and selection of the materials including the natural wood flooring inside and wooden decks around the pools outside, the designer kitchens and furniture, all create an extravagant summer residence with clean and classy lines and fabulous amenities ensuring an opulent, over the top accommodation. 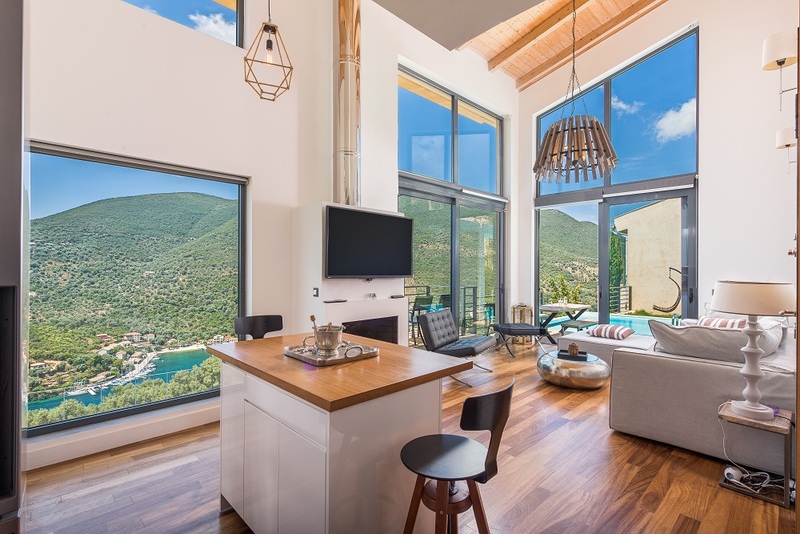 Large window openings flood the rooms with light and offer breathtaking views to the Ionian Sea and little sailing boats sliding in the picturesque harbor. The bedrooms, tastefully uniquely decorated, each with its own separate theme (10 in total), with stylish furniture and the finest Dunlopillo and Cocomat mattresses, special soundproofing offer an unforgettable, quiet and undisturbed sleep experience. 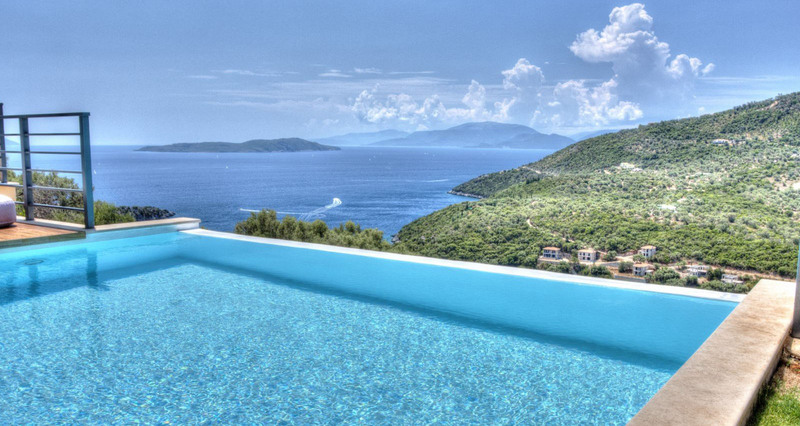 Each villa has a large infinity pool, with comfortable sun beds and lawn and wooden deck all around. From inside the pool the swimmer gets the feeling of being one with the sea and the pleasure of the swim is multiplied by the pleasure of the endless view. 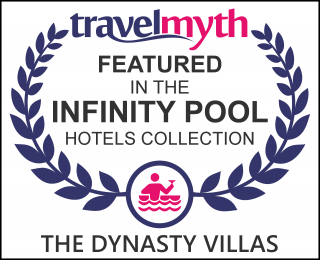 However, it’s not just the villas themselves that contribute towards excellence. 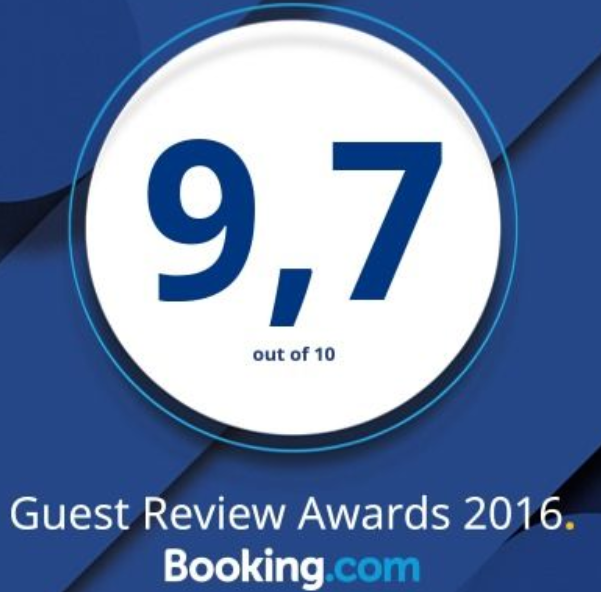 Provided services, the warm welcome, the 24-hour care, always with a smile, and our continuous efforts to fulfill the wishes of the guests, make our visitors feel safe, feel at home and experiencing the vacation of their dreams. This is the main reason that we get repeat customers year after year. Permanent friendly staff, including concierge services on a 24/7 basis, ready to satisfy every need of our guests and solve any problem occur within minutes.